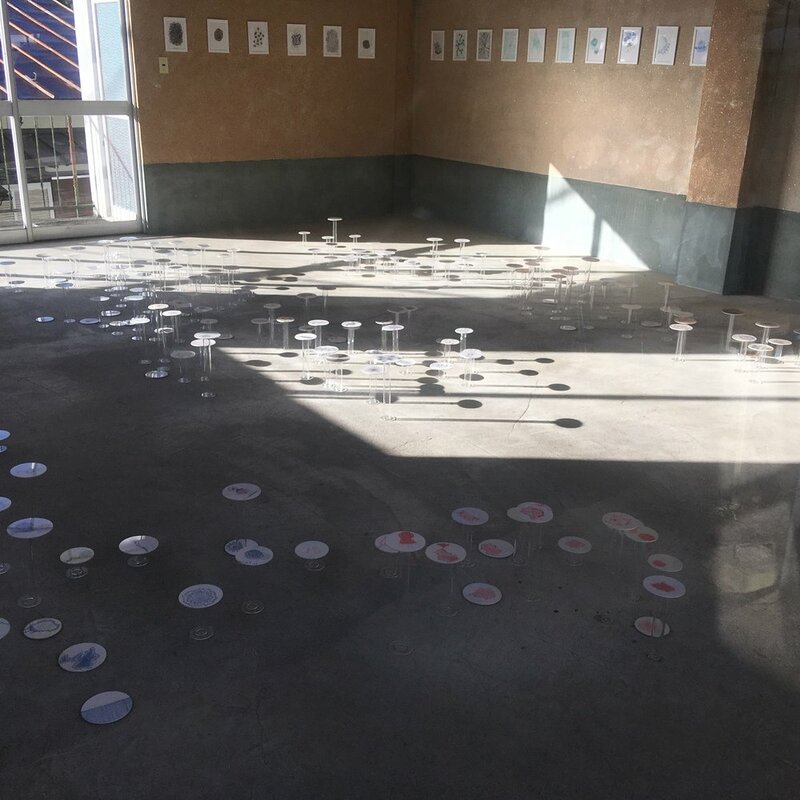 The “Daily Drawings Network” installation transforms all my drawings from January to June 2017 made in Tokyo and Nakanojo into cell-like forms. These drawings are made almost everyday during my commutes and moments of down time. The marks are conceived in the moment of drawing so they are influenced by my mood and environment. 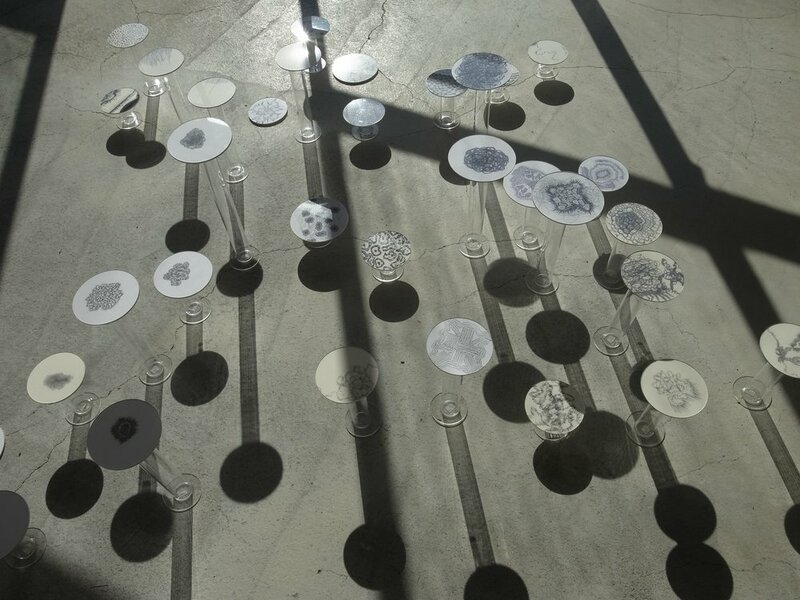 To try and understand the relationships of these abstract drawings to my everyday life, I am creating a network of over 250 drawings based on common motifs and other variables in the Sawatari Gallery space.Visitors are invited to wander through my “Daily Drawings Network” toexplore the visual language that is created in the midst of everyday life.